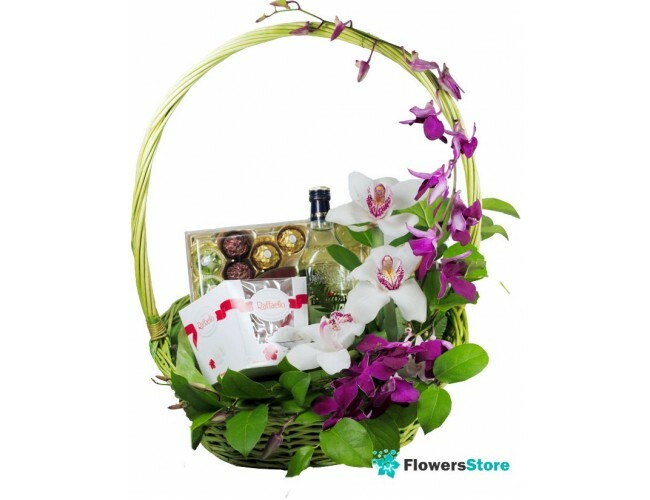 Description Basket: Exclusive basket for a favorite with live orchids and carnations. The composition of the basket: Orchids, raffaello, ferrero, basket, design, Vermouth Martini Bianco 15% 1000ml - A GIFT !! !